Tecno Spark Plus K9 is an upgrade on the smaller version of the Spark Mobile Phone series, Tecno Spark K7. It has almost the same spec as the Spark K7 but comes with higher RAM, battery capacity, faster CPU, and larger screen size. Tecno Spark Plus K9 is built with slimmer metallic design of 7.75mm, has a 6.0-inch HD IPS display and a bright rear camera of 13MP. In terms of performance, Techno spark runs on an octa-core MediaTek processor at speed up to 1.5GHz, and graphics support of Mali-T720 GPU with 2GB RAM. Spark Plus K9 mobile phone device from Tecno supports 4G connectivity with Lion battery capacity of 3400mAh (400mAh more than the battery capacity of Tecno Spark K7), WiFi support and also fingerprint sensor. It is available in different colours to suit your taste; champagne gold, anthracite grey, scarlet red and elegant blue. Tecno Spark Plus K9 is now available in most African countries like Nigeria, Kenya, Ghana and Egypt. 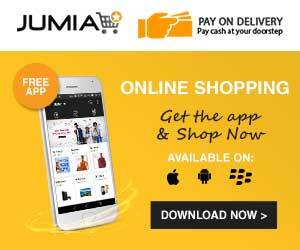 The android phone can be purchased from leading online stores such as Jumia , Konga, Slot, Yudala etc in these countries. In Nigeria, Tecno spark price ranges between NGN38,500 - NGN45,000. Tecno Spark Price in Kenya is about 9,999 KSh. Tecno Spark price, specs and features was last modified according to current information on: September 1th, 2017. Tecno now its sparks level well its nice buh battery should be upgraded.